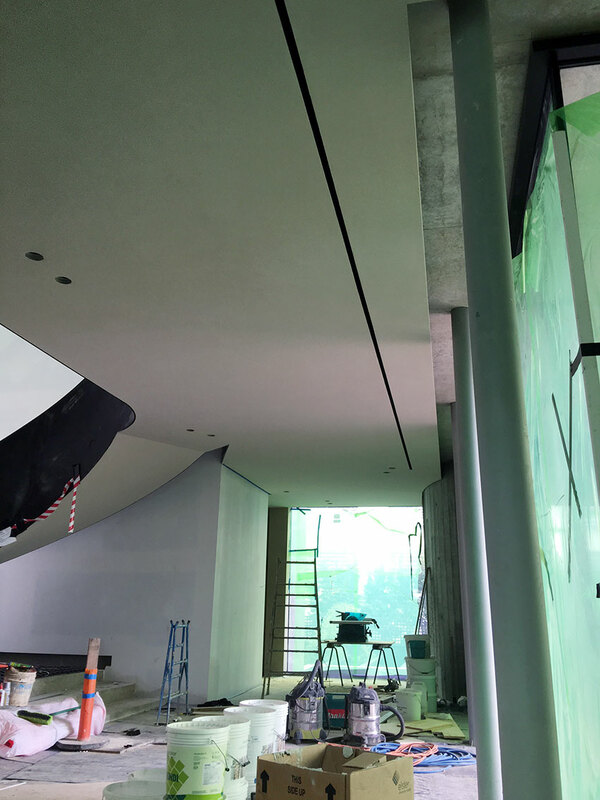 QuietCOAT was used for a noise reduction solution in a multi-million dollar high end home. The seamless ceiling was used throughout the house in the foyer, living areas and library. 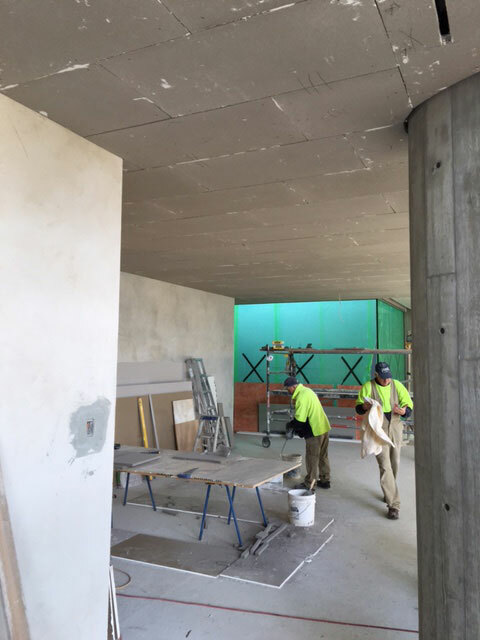 The Seamless acoustic plaster is a perfect solution for your acoustic requirements. 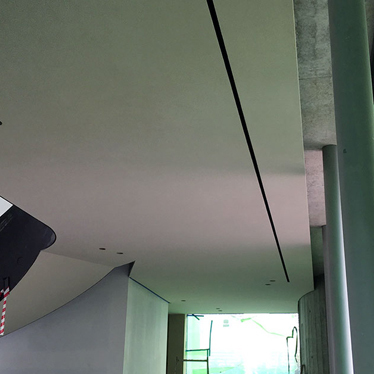 Our seamless ceiling system changes the market of acoustic ceilings form ordinary square grid acoustic ceilings to a sleek smooth sound absorbing surface.